Dalston Kingsland towerblock. Where's the public benefit? 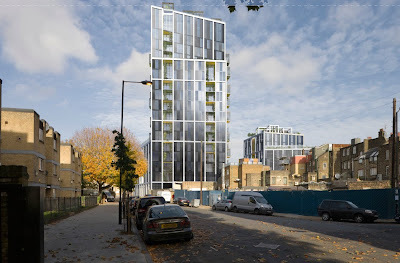 You still have time to comment about a developer's application for planning permission to build an 18-storey, 50 metre high towerblock of private flats next to Dalston Kingsland station. Is it a beacon, a landmark building, adding to Dalston's identity and character? The 50 metre high tower will dominate and cast shadows across the Kingsland area. Like a lighthouse in reverse, it will steal the sunlight from public space, homes, businesses, locally listed buildings and Ridley Road market. The tower will cause higher wind speeds locally so that some public areas around the building will become "unsuitable for standing" (sometimes, the consultants say, "the criteria for safety of all pedestrians including sensitive pedestrians and cyclists is exceeded"). There will be 130 flats for sale but only 17 flats (13%) are to be "affordable". Policy guidelines are for 50% affordable housing. The "exemplary" design is so poor that 30% of flats don't meet the official minimum sizes. The remaining private flats (87% unaffordable) are in the exclusive "Dressed in Green" tower, with its a own secure entrance. The penthouse duplex apartments there will each cost around £1,000,000 (£1 million). The build quality does not reach the Code 5 standard for sustainable homes. Although the building is 'dressed in green' there is no explanation of who will undertake the necessary maintenance of the planting, or the urban agriculture proposed, or pay for it. No vegetation is sustainable on the bleak North Face of the tower. Is it green - or is it greenwash? This 1902 Grade II Listed building, Cooke's old Pie and Eels shop, is next to the development site. It is one of an exquisite group of buildings with diverse architecture and fine detailing. The tower will overlook four conservation areas. The listed buildings directly affected also include the Rio Cinema, Colvestone Primary School and locally listed buildings opposite at 74-76 Kingsland High Street. Does the development acknowledge and respect its context....at all? 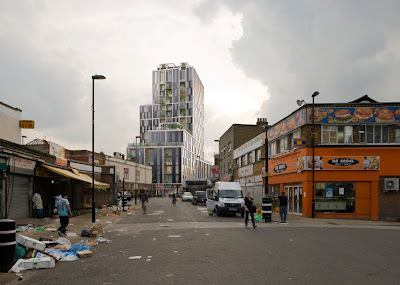 Is it gross exploitation of Dalston - a developer's try on? The 2012 Dressed in Green development is six to eight storeys on the high street, eighteen storeys behind. Densities well exceed the London Plan guidelines. It dominates the 3/4 storey high street. It diminishes it's neighbours. It extracts huge development value from the site - but at the expense of the surrounding area. The developer expects to net a profit of over £10,000,000 (£10 million). What will Dalston get back for all it will lose? About £500,000 - which is about 1% of the development's resale value. 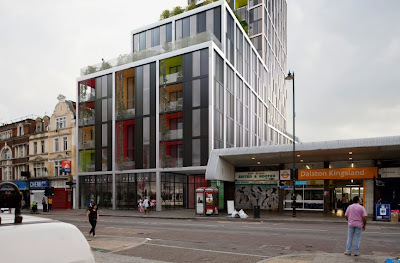 The developer will give the money to Transport for London and Hackney Council to spend. The "Dressed in Green" tower is being promoted by the developer's PR company, Four Communications, which has recruited Hackney's Deputy Mayor Karen Alcock and Councillor Alan Laing (formerly a member of Barratt's PR firm Hard Hat). "We are keen to use Alan’s extensive network of contacts within London politics" "said Councillor Laing's new Managing Director whose company is also promoting the new Sainsburys planned for Stoke Newington and the controversial Stamford Hill school development. A planning application has been made for an 18 storey tower stepping down to 6 storeys fronting Kingsland High Street next to Dalston Kingsland overground station. The tower backs onto Boleyn Road. The development is for 130 flats, a large ground floor shop (currently Peacocks) and the developer is to re-model the neighbouring station entrance to make it more accessible including lifts servicing the platforms. You can see details of the application 2011/3439 on the Council's web site here. Public consultation officially closes on 30.1.12 but the Council should consider all comments received prior to the decision of the Planning Sub-Committee which is presently expected to be on 7.3.12. You can make your comments on line here. Of the 130 flats planned, only 17 flats (13%) are to be "affordable" and the remainder (87% unaffordable) are for private sale. Policy guidelines are for 50% affordable housing. The affordable flats are all planned to be in the smaller block fronting Kingsland High Street but the developer is expected to argue that they too should be sold off to pay for the work to the station. The number of flats on the site far exceeds the London Plan guidelines for appropriate density. The developer claims the flats are of 'exemplary design' although it admits that only 70% of the flats fully meet the London Plan's 'minimum space standards'. These factors indicate a planned over-development of the site. The scale of the building will result in overshadowing of local residents' homes and gardens. There will be accelerated wind speeds locally so that some public areas around the building will be, the consultants have found, "unsuitable for standing" (sometimes, they say, "the criteria for safety of all pedestrians including sensitive pedestrians and cyclists is exceeded"). The 1902 neighbouring group - one of the finest surviving terraces on the high street which will be dominated by the development although the developer claims that the "impacts on townscape and heritage are minimal". The proposed blocks will dominate the 3-4 storey Victorian high street. 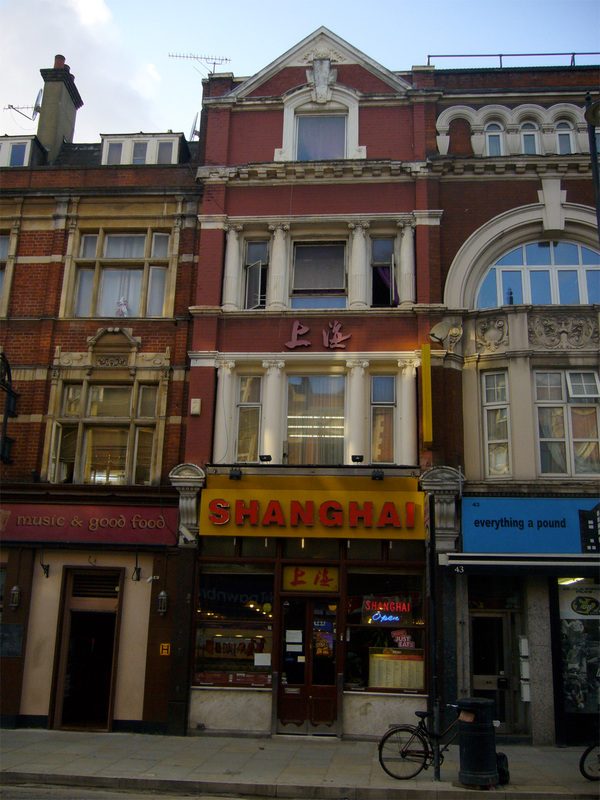 The site neighbours a terrace of finely detailed 1902 buildings including the Grade II listed property at 41 Kingsland High Street (currently Shanghai restaurant, formerly Cooke's Eels Pie and Mash). Other listed buildings affected include the Rio Cinema, Colvestone Primary School and locally listed buildings opposite at 74-76 Kingsland High Street. Don't forget to have your say.